TP-LINK’s JetStream series Managed Switches provide a robust and future-proof network solution with high accessibility, great scalability, rich management features and security functions, making it ideal for enterprises, ISP and campus networks. 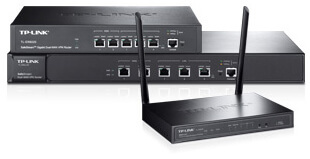 TP-LINK's Smart Switches offer cost-eff­ective network solutions for the small and medium businesses. Integrated with useful L2 features such as 802.1Q VLAN, QoS, IGMP Snooping, STP, Storm Control and SNMP, TP-LINK’s Smart Switch provides administrators a simple, cost-effective yet intelligent networking solution. TP-Link's Easy Smart Switches are an ideal upgrade from Unmanaged Switch Technology, providing Easy Smart Configuration Utility management software and equipped with many basic practical features including Port/Tag/MTU VLAN, QoS and IGMP Snooping. Easy Smart Switches offer network administrators simple and cost-effective networking solutions for Small Business Networks. 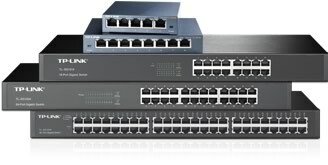 TP-LINK’s Unmanaged Switches can increase the speed of your network and backbone connection. They are simple plug and play products, with no software configuration and provide high performance network ports that allow for simple and effective expansion of small and medium business networks. TP-LINK’s Desktop Unmanaged Switches can increase the speed of your network and backbone connection. They are simple plug and play products, with no software configuration and provide high performance network ports that allow for simple and effective expansion of small and medium business networks. 10 Gigabit SFP + Module, SFP+ Cable, Redundant Power Supply, Media Converters, SFP Modules, PoE Adapters and Switch accessories. 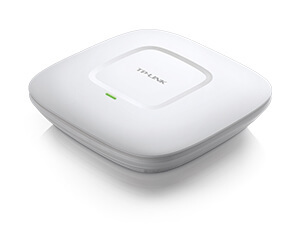 The TP-LINK’s EAP series business Access Point provide a flexible, easy-to-deploy, manageable and robust security business-class wireless network solution. Simple mounting design to easily mount to a wall or ceiling. WLAN configuration and management are simplified through clustering function and centralized management software. EAP series also feature cluster functionality, centralized management software, captive portal and auto RF management, making them ideal for the high-density, intensive demanding businesses environment, include campus, hotels, malls and offices. Pharos is TP-LINK's next generation product series dedicated to high performance solutions for outdoor wireless networking applications. It includes a variety of CPE and Basestation devices, carrier class antennas, and a centralized management application, which are flexible and ideal for point-to-point, point-to-multipoint and outdoor Wi-Fi coverage applications. Professional performance, coupled with user-friendly design, makes TP-LINK's Pharos series an ideal choice for both businesses and home users. Add wireless devices to your wired network with TP-LINK's range of Desktop Access Points, including SOHO Access Points and High Power Access Points. They are an ideal solution for small business users, and can help deliver greater wireless speeds and wider wireless ranges, bringing together the benefits of both wired and wireless network environments as you share access to music, movies, files or printers. Gaming, 4K/8K streaming, smart home devices, and AR/VR all compete for network resources, creating lag and crowding your network. To solve this problem, 802.11ax (also known as Wi-Fi 6), a next-gen high-efficiency Wi-Fi standard, was created. 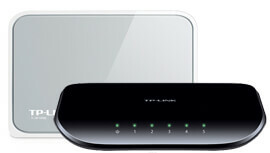 Now, you can simultaneously connect more devices and enjoy the optimum speed for each of them. Keeping a network safe from attacks and unauthorized access is the key to success of any business, now more than ever before. TP-LINK's SafeStream Series VPN Routers provide an ideal secure VPN solution to protect your network against attacks and unauthorized access, especially designed for remote offices/small business with medium volumes of users demanding a flexible and highly secure VPN network. 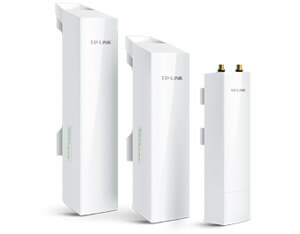 TP-LINK's load balance broadband routers possesses excellent data processing capabilities and multiple powerful functions including Load Balance, Access Control, IM/P2P Blocking, DoS Defense, Bandwidth Control, Session Limit and PPPoE Server, which meet the needs of small and medium enterprises, hotels and communities with large volumes of users. 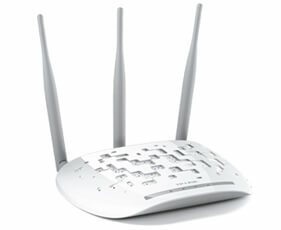 LinkDataGuard.com is a division of Virtual Graffiti Inc, an authorized TP-LINK reseller.